Not to many golf courses across Canada get to host a Professional Tour event. In August Ottawa's Hunt and Golf Club played host to Canada's own Brooke Henderson and a host of world class players from the LPGA. Having media access for the week gave me not only insight into how a LPGA is run but also how the Ottawa Hunt and Golf Club would stand up to the test of a world class field. Having walked the grounds and all the holes on both the South and West Courses. I was intrigued to play the course myself after nothing but positive reviews from the players. I got my wish just over a week ago. My father-in-law and I got to play on a Saturday with Ottawa's weather holding its last rays of Summer for our round at "The Hunt". A private golf and curling club located in Ottawa, Ontario just off Hunt Club Rd. Founded 109 years ago in 1908 as a hunting club. The Ottawa Hunt Club expanded into golf in 1924. The course was designed by Willie Park, Jnr. (1864−1925), a two-time British Open champion (1887, 1889). The course was redesigned, mainly in its green complexes, by Tom McBroom in 1993, and Dr Michael Hurdzan in 2013. The Club hosted the Canadian Open in 1932 and the Americas Cup golf matches in 1960. Hosted the Canadian Amateur Championship in 1937, 1960, and 1970. Hosted the 1994 du Maurier Classic on the LPGA Tour. With 27 holes of golf, it hosted the LPGA Tour's CN Canadian Women's Open on its South and West nines in August 2008, celebrating the club's centennial. Just recently hosted the CN Women's Open. The practice facilities are top notch at the Hunt. Putting greens both by the 1st tee of the South Course and by the extensive driving range. No problem getting warmed up here. The Club House and staff that work at the Hunt are amazing if you need anything they're always willing to help. Radmila (Restaurant), Shawn (Pro Shop) and the lads at the back shop (Michael and Dylan) were great. The members I met while golfing were also very nice and helpful. The course will challenge you from any of the 5 tee decks as long as you play from the right ones. All hazards are at the right distances if your a little off with your shot. The greens were amazing, running about a 10-11 on the stimpmeter. Perfect to putt on not quite as fast as they had it for the CN Canadian Women's Open but so much fun to play. A good mix of holes as far as length, visual and challenge goes. 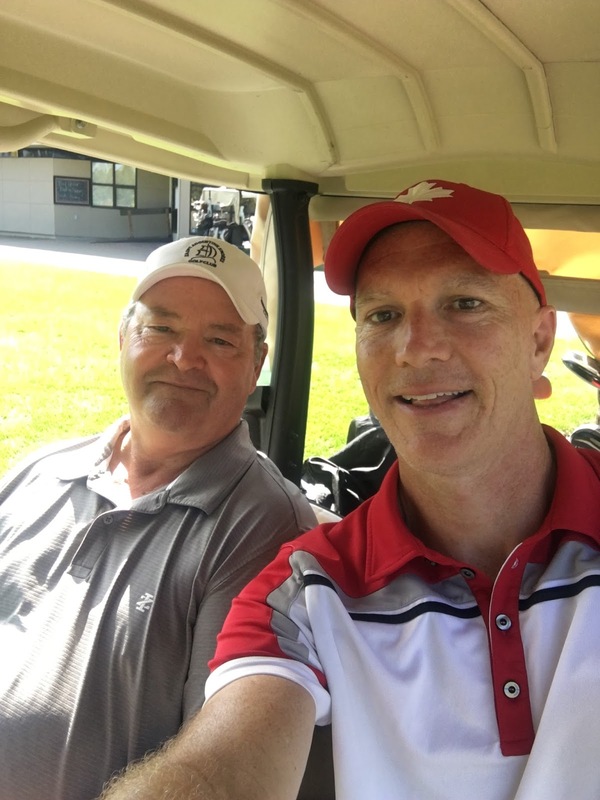 The course is right by the Ottawa International airport which you would think would lead to a noisy golfing experience but quite the opposite as no large planes land or take off near the golf course. Considering the course is right off the busy Hunt Club/Riverside Roads. The feel is definitely more like you're in the country then the city. The hazards(water, bunkers) are plentiful at the Hunt Club; add the fast greens make for a very challenging round any day of the week. Lots of bunkers at the Hunt Club so make sure you have your "A" game.